Warm weather is officially here and it's the perfect time to freshen up your landscaping both structurally and aesthetically to enhance your curb appeal. If you tackle these five landscaping tasks you can improve the value of your commercial property. As we talked about in another blog post, drainage issues damage grass and foliage by causing root rot, and heavy foot traffic on a wet lawn can cause soil compaction. Water that sits close to your building’s foundation is cause for concern as it can seep in and create cracks. And last but not least, standing bodies of water attract mosquitoes. So now that you know all the reasons why you need to fix your drainage, how do you go about doing this? There are a several ways to proceed. First, you need to examine where water sits in your yard and the direction it travels. Improve soil permeability, and introduce new elements of topography designed to stem the flow of water. Create a rain garden which is designed to absorb runoff and excess rainwater and essentially act as a sponge. Introduce organic matter and sand into the soil to improve drainage and break up clay found in moist soils. Introduce more low-growing plants that are adapted to wet soils. Removing old and outdated features such as sprinklers and incandescent lighting can save you money on your monthly utility bills. Older sprinklers tend to use more water and often need repairs. Today’s smart irrigation systems have rainwater detectors to allow sprinklers to conserve water after a rainfall. If you haven’t made the switch to LED lighting yet, we recommend that you do. A professional landscaper can help you update the look of your commercial grounds. Maintaining an attractive landscape and exterior is vital for commercial properties because it creates a nice first impression and can attract more customers and tenants. Introduce areas of shade and seating for rest. Add a variety of trees and shrubs to ensure your grounds look attractive year-round. Introduce a variety of natural materials such as bark and rocks for visual interest. Improve or create walking pathways lined with flowers. Redesign the layout. 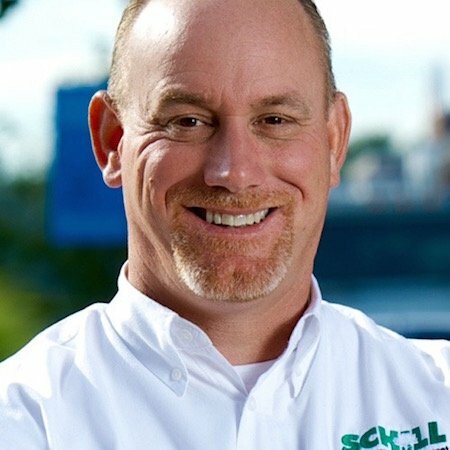 If your landscaping could use a complete redesign, Schill’s sustainable landscape practices help to create a more eco-friendly green space which conserves water and energy and requires less maintenance. Mulch is made of a variety of organic product such as grass clippings, leaves, twigs and shredded bark. Springtime is an ideal time to spread a new layer of mulch. Improves the soil’s nutrient content and texture once it decomposes. As part of Schill’s green recycling practice, grass clippings and branches are mulched on site and reintroduced into your landscaping. A beautiful landscape is not complete without a little color. Flowers are an easy way to add color and life to your landscape. Harbinger-of-spring (Erigenia bulbosa). This delicate white flower is tougher than it appears and is the first sign of spring as it’s aptly named. Trailing arbutus (Epigaea repens). This white and sometimes light pink flower gives off a lovely fragrance and grows nicely in sandy or rocky areas or acidic soil. Sweet white violet (Viola blanda). A spring perennial that is characterized by its five delicate white petals, two of which twist back to reveal a purple-veined petal. By implementing these five improvements to your commercial property during the spring, you’ll help to ensure your summer months are worry-free.